It was a lucky break. 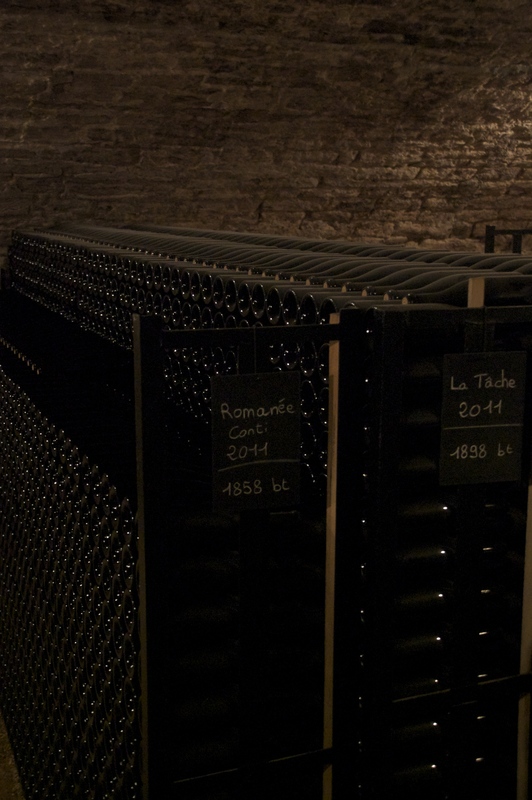 Thanks to their collaboration with the lab where I did my master’s thesis (see their most recent publication in PLOS One here) , I was recently invited to visit the world renowned Domaine de la Romanée-Conti (known in the industry as DRC) in Burgundy. 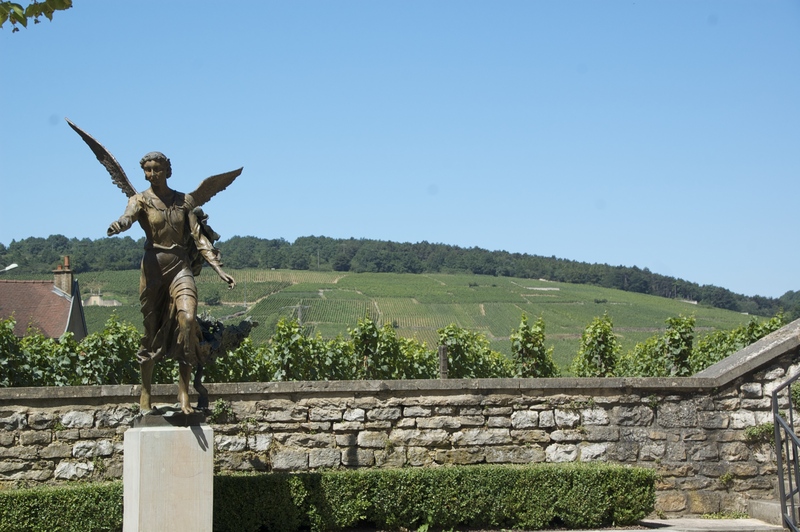 This winery, famous for its eponymous Romanée-Conti wine, which comes from grapes grown in the small (1,8140 ha) vineyard (“climat”) of the same name in the village of Vosne-Romanée. This wine is one of the most cherished in the world, and comes with a pricetag that is accordingly extravagant (NPR ran a story just a couple of days ago about a book written about a 2010 plot to blackmail the winery). DRC courtyard in Vosne-Romanée with its vineyard backdrop. 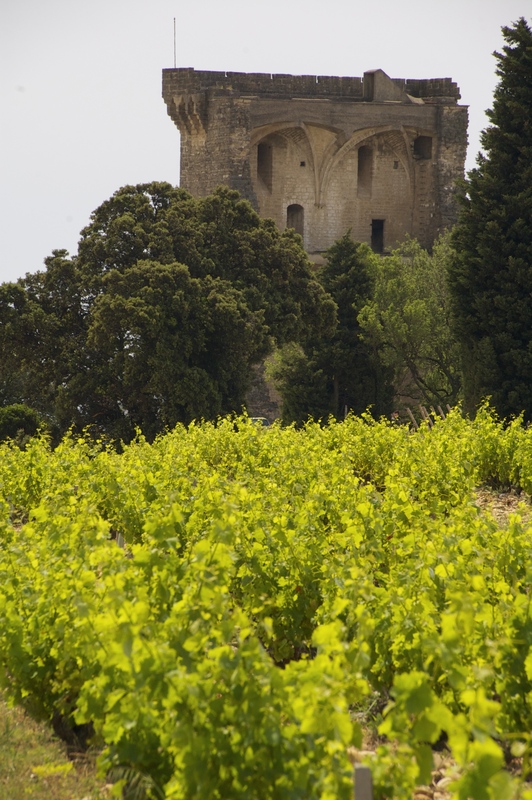 The history of this famed winery began around the year 900 AD, with the founding of the priory of Saint-Vivant, which acquired the vineyards of Romanée-Conti in 1131. The monastery controlled the vines until 1584, when the land was purchased by Claude Cousin, the first in a long line of family-owners of this property (only 2 different families in 430 years), which continues today with Aubert de Villaine, and his nephew, Bertrand, our guide this morning, incredibly generous with both his knowledge and his wine. Bertrand de Villaine explains how the Corton is blended from three different parcels. 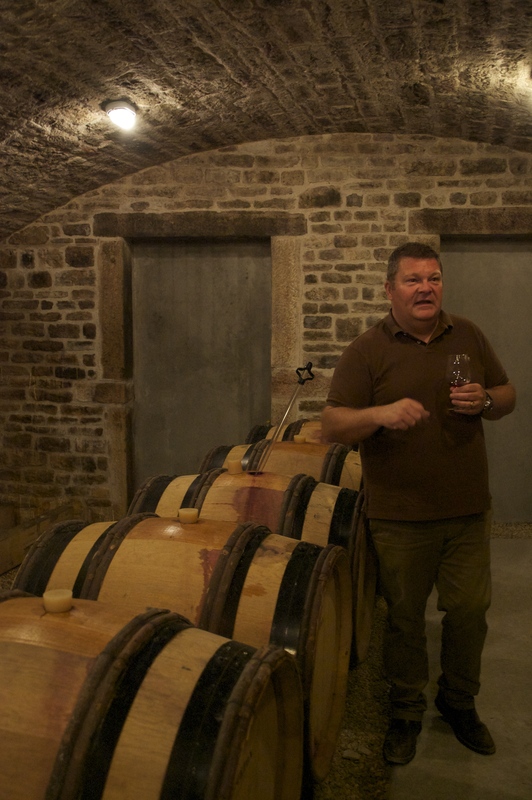 He led us into their recently expanded cellars, where he led us through a barrel tasting of the 2013 red wines from each of their 7 red appellations : Corton, Echézeaux, Grands-Echézeaux, Romanée-St-Vivant, Richebourg, La Tâche and Romanée-Conti. Each of them were phenomenal, still very young, of course (some just finishing or having just finished malolactic fermentation), but a wine cannot age well if it doesn’t begin with all of the fundamentals in place. This was a concept that I knew well, but did not understand on a visceral level until I tasted these wines. Each one different from the others, they were all unique and fabulous in their own way, each characterized by its particular magnificent balance. Bertrand explained that they assure this balance by waiting until the grapes are perfectly ripe before harvesting. Their neighbors might be out harvesting a few days, even a few weeks before this moment of perfection for fear of losing yield due to an upcoming rainstorm, for instance, but DRC will wait, no matter what. Of course with the prices of their wines, they are in a better position to take this risk than many producers, but it is a major risk none the less and results in a relatively high variability in the quantity of wine that they produce, but with an incredible consistency in the quality, which is, without fail, exceptional. Each of the 7 wines had its particular personality, all of them like someone you hit it off with right off the bat. 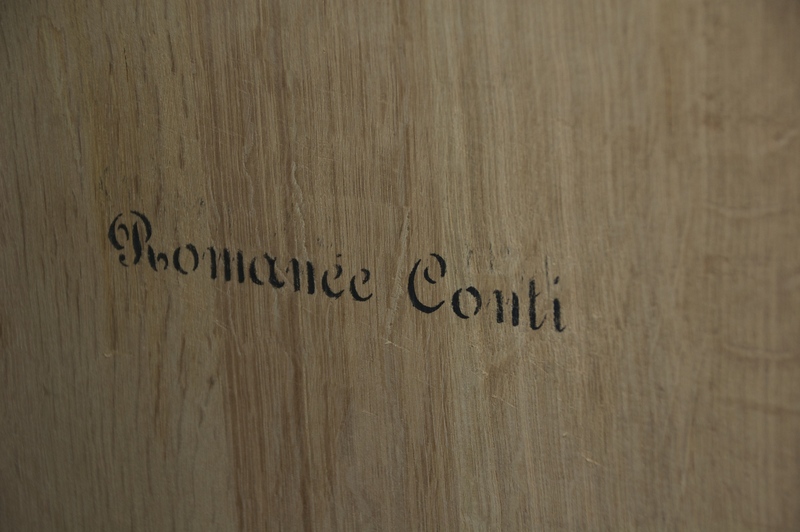 But it is true that the Romanée-Conti is the one you fall in love with at first sight. Not in a stunningly-gorgeous-knock-your-socks-off-from-across-the-room kind of way (though maybe with a few years of maturity she becomes so), but in a far more subtle, delicate way. Such that your first sip seems so incredibly satisfying, but then trails off leaving hints of so much more to be discovered, and so you find yourself chasing her, praying, begging for her to reveal just a bit more. And she keeps tempting you in this way until your glass is empty, but you are not angry that she’s gone, but rather you have never felt more content in your life. In the bottle cellar we were introduced to another incredible beauty, this one a blond. Bertrand served us a 2007 Bâtard-Montrachet chardonnay, the only wine they make that is not sold (they do sell one white wine, a Montrachet), as they produce only 1-2 barrels (300-600 bottles) each year that are used exclusively for private tastings, special events, and the family’s personal consumption. It was glorious. I will not even attempt to describe this wine because words will not do it proper justice. I must simply counsel you to pray to someday have the chance to encounter such a bottle, as I have done thanks to the generosity and scientific curiosity of Aubert and Bertrand de Villaine. I took 5 pages of notes during the visit, wanting to absorb everything that Bertrand told us, not miss a single detail. But I know, and I knew as I was doing so, that there is no secret recipe. I could tell you that they use 100% new, untoasted oak barrels. I could tell you that for the Romanée-Conti and a part of Richebourg and Montrachet they use a plow horse, named Mickey, to work in the vines. And that alternatively, they have a custom-built tractor that is the weight of a horse in order to avoid undo pressure on the soil and root systems. You could probably replicate their work exactly, but I fear that it would be in vain. There is something special, magical about this place. This is the indefinable in the world of wine. The sum that is greater than its parts*. There is an element here that no one can explain it, and I hope that no one tries. Sometimes we just need to let ourselves be captivated. *Yes, for the record, because I am sure that you are wondering, for me personally the prices paid for these bottles far exceed even the whole that exceeds the sum of the parts, but such is a luxury economy, and we must just be happy to embrace the rare opportunity to savor these wines in another context that does not involve thousands and thousands of dollars of expense, as I was so lucky to do here. Let us hope that the old adage holds true. After 6 months of back and forth trying to decide if I’d like to follow up my current research internship experience with a PhD in the same lab, the choice has been, at least for the moment, decided for me. The ever present financial crisis has not left its dirty little paws in the scientific coffers, either, and so the project I was considering will not be funded for the moment. This is probably good news for this blog. 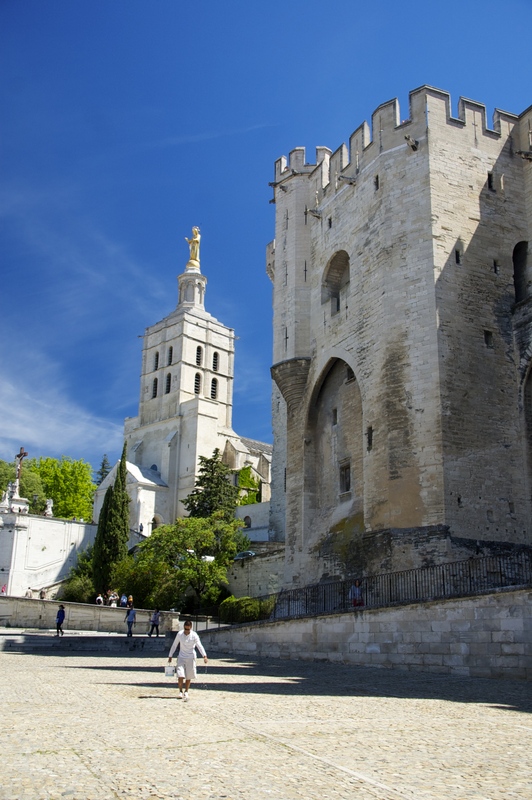 Beginning in September, I’ll be headed south, to Avignon, delicately placed on the cusp between Provence and the southern Rhone Valley. A wonderful place to be inspired, and, hopefully employed as well. While on the job-search trail, I plan to take advantage of any free time and sunshine to work on writing. For the blog but also for an upcoming book project encompassing my experiences and insights from my adventures. One theme I hope to explore much more deeply, for the book, the blog, and perhaps professionally, is one that has been recurring on this blog : Biodynamics. I recently read Rudolf Steiner’s Agriculture Course, the original lecture series where he outlined this practices and philosophy. Adding to this inspiration, last week I attended a special showing of Natural Resistance, the latest film by Jonathan Nossiter, the filmmaker behind Mondovino, followed by a debate session with Emmanuel Giboulot, the biodynamic winemaker recently tried for refusal to treat his vines for flavescence dorée, a grapevine disease carried by leafhoppers. Initially faced with 6 months in jail and a 30,000 € fine, he was found guilty and sentenced to a reduced 500 € fine. But his story created a major controversy, forcing winemakers, consumers, and hopefully lawmakers, to reconsider how such decrees to treat for certain diseases are put into action, and whether or not it is justifiable to apply nonspecific insecticides when (a) an attack is possible, but not guaranteed, and (b) the treatment’s efficacy against the disease is under question. How do we weigh the competing factors against each other, the potential losses on both sides ? 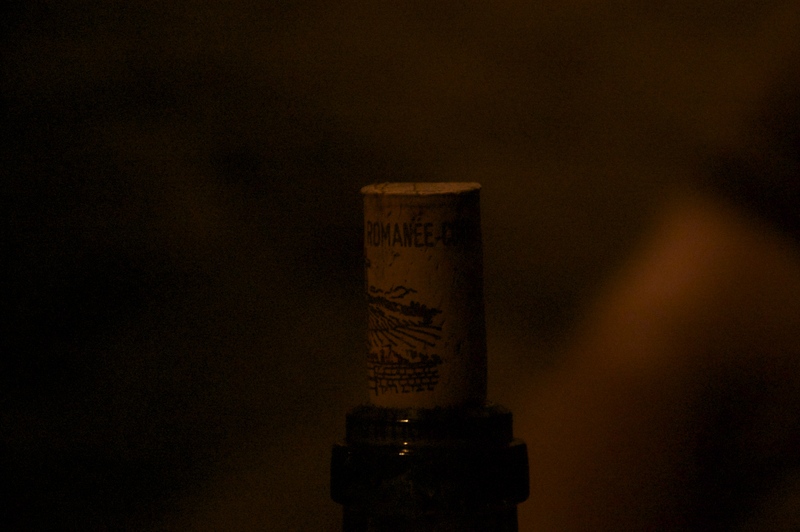 The film focused on the natural wine movement in Italy, centered around a handful of producers who make wines not accepted as part of the appellations in which they are geographically located, because they do not conform to the standards set by these official denominations. 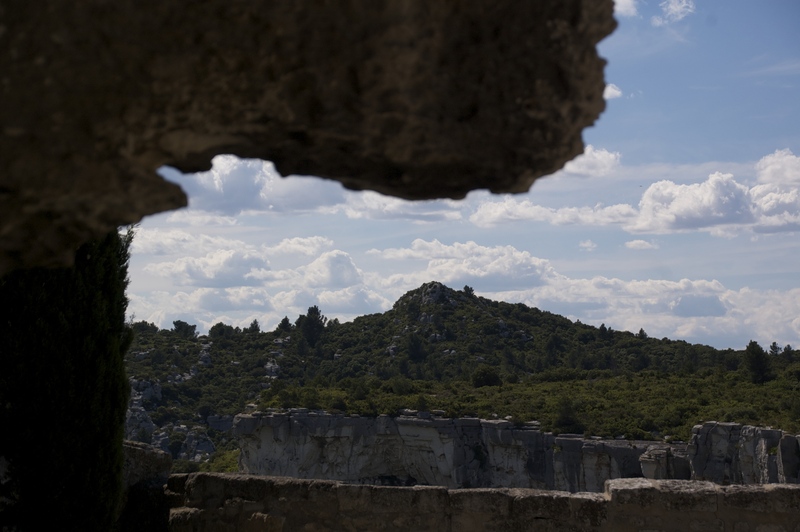 Less focused on practice than on philosophy and value-determination, the film compares winemaking to cinema : an art focused so much on the future that we often tend to lose touch with and forget the past. For cinema, to protect means to convert to digital, and the viniviticultural equivalent is to attempt to produce authentic wines speaking to their historical origins through the employment of technology. This is perhaps possible, and many would argue that digitalization can indeed help us to protect much of our artistic heritage, but the film elegantly demonstrates that this is not the only possible approach. There is a more direct route to the past than via the most cutting edge technological innovations. 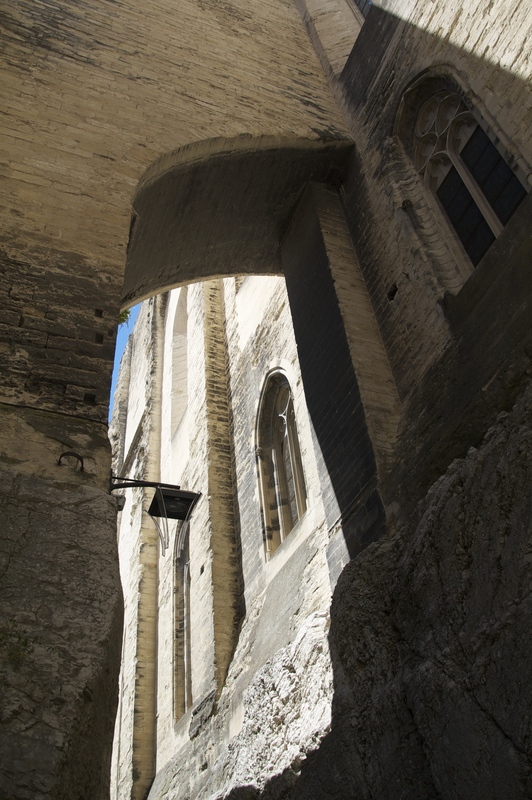 Enjoy these photos from a recent visit to the south of France: the southern Rhône, Avignon and some of the gorgeous hill towns of Provence. 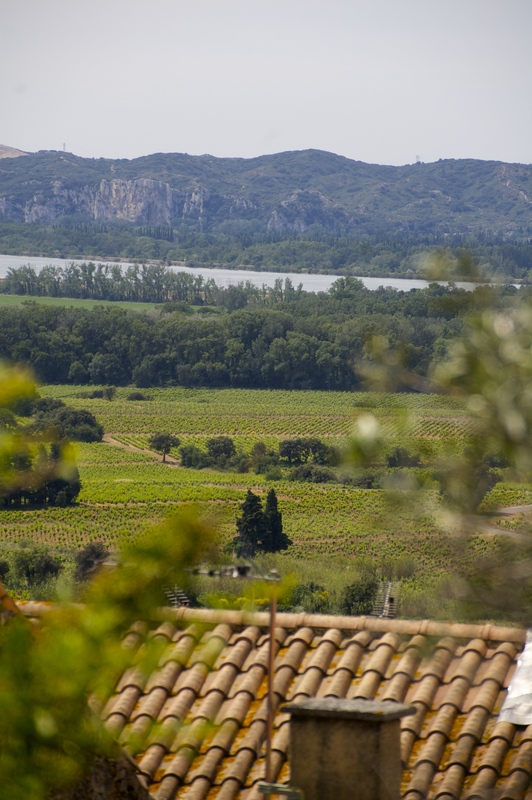 Châteuneuf-du-Pape vineyards, with the characteristic river stones, known as “galets”. The Ancient Theater of Orange, still used for shows today. How much does legislation influence our perception of what a product should be? Wine represents a particularly fine example of this surreptitious legal sway over our intellect, particularly in France, where its production has been closely regulated since the end of the 19th century. 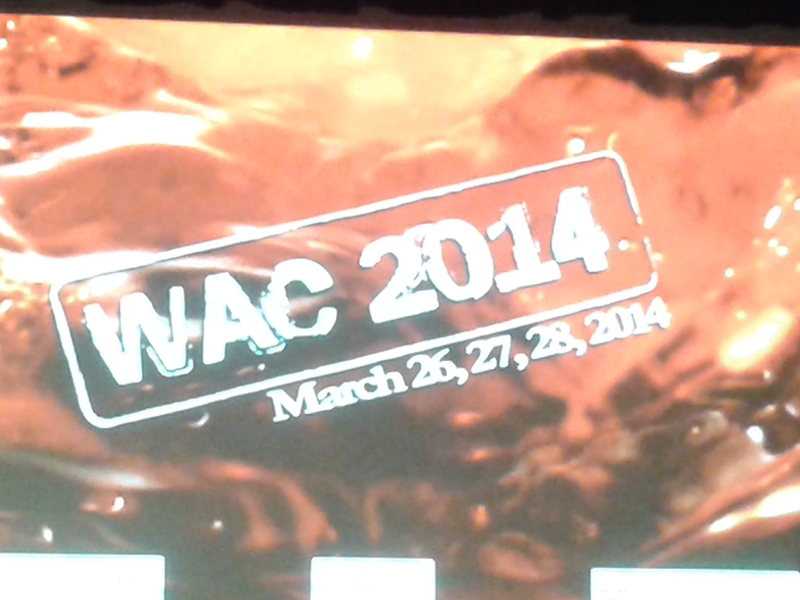 The evolution of this legislation was the subject of a presentation at WAC 2014 by Alain Chatelet, of the DFCCRF (Direction générale de la concurrence, de la consommation et de la répression des fraudes – General council on competition, consumption and the repression of fraud). The story begins in 1889, when the French “Griffe law” defined wine as a product of the fermentation of fresh grapes, and nothing else. Good ol’ strawberry wine? Not so fast – if it is made from strawberries, it is, by definition, not a wine, at least under French jurisdiction. 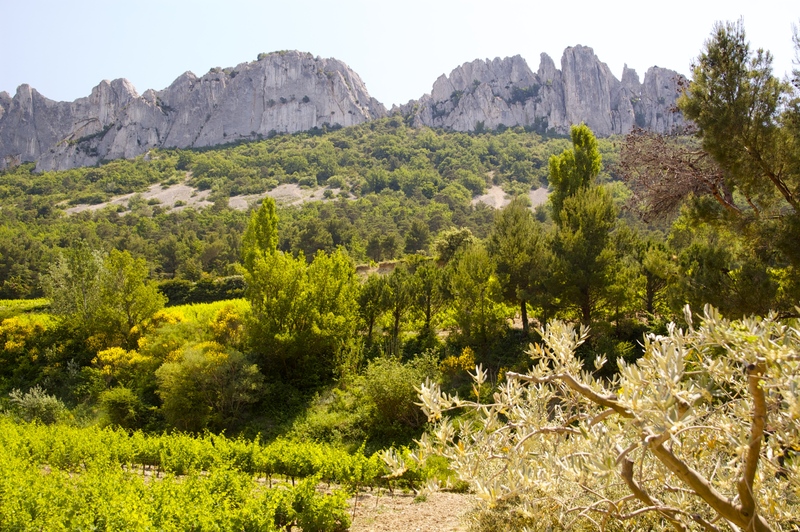 A few years later, a French law banned any practices that served to modify the “natural state” of a wine. The intention here was not to establish some early grain of the natural wine movement, but rather to protect the consumer against fraud. At the time, all products that strayed from the most straightforward fermented grape juice could be, and probably were, the result of an attempt to cheat and swindle the buyer into buying something [cheaper] that wasn’t really “wine.” The only practices that were allowed, were coupage (blending with a different wine to ameliorate the quality), freezing or partial freezing of grapes, pasteurization, chaptalization (addition of sugar to the must to increase the alcoholic degree in the final wine), fining, and the addition of cultured yeasts, tannins, plaster (since outlawed), or sulfur dioxide. Acidification of must using tartaric acid was allowed, but the acidification of final wines was strictly prohibited. Why the distinction? In part because the practice of adding acid directly to wines was seen as overly articficial (indeed, a transformation of the acid occurs with the microbial activity of fermentation, and acidified wines are much easier to pick out than wines that were made from acidified musts). But more importantly, this rule was a protection against an increasingly globalized economy. 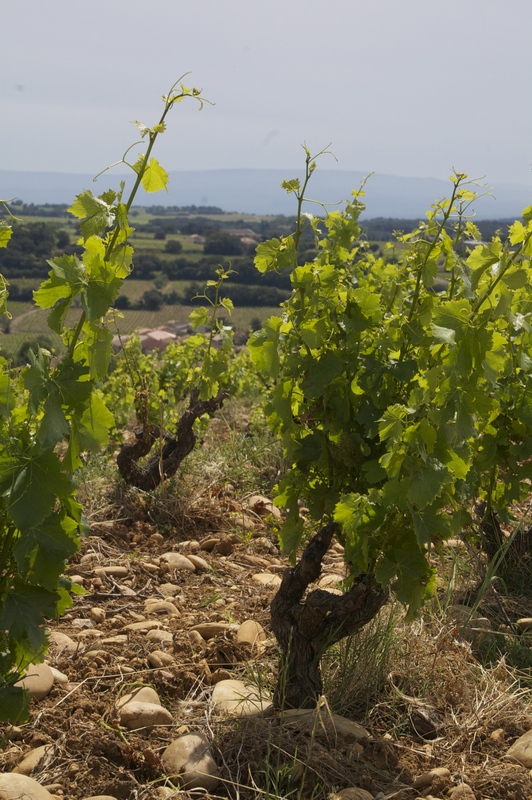 By eliminating the recourse to wine acidification, the French government was effectively preventing the possibility of a southward expansion of the wine industry, because grapes couldn’t be planted where it was too hot if they were to avoid producing wines severely lacking in acidity. 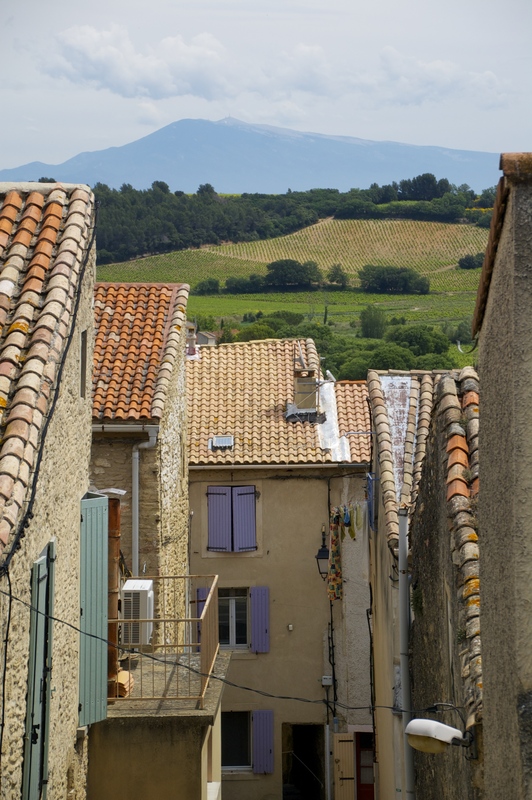 Thus the initial regulation of oenological practices was based on two underlying objectives: to protect consumers from fraud and to protect the established French wine industry from competition by new growing regions. 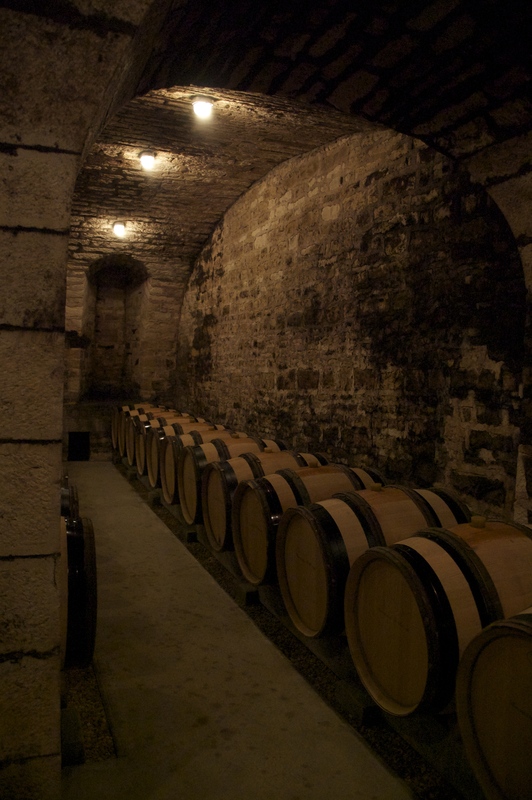 The goal of winemaking was to produce a drinkable, sellable product, but the technology was more limited than it is today, thus leaving few choices when it came to oenological practices. But the law still shaped how people defined what could and could not be considered “wine,” a trend that continues to our present day. When the laws governing winemaking within the European Community were first created in 1978, they picked up the same principle of the law passed in 1907 – that winemaking practices should preserve a wine’s “natural state.” A few more products were added to the “safe” list, in accordance with technological developments of the time, but in general the rules of the game didn’t change. But in the 30 years that followed, not only did the rules change, the underlying principle also evolved to fit the new drivers in the industry present by 2008. 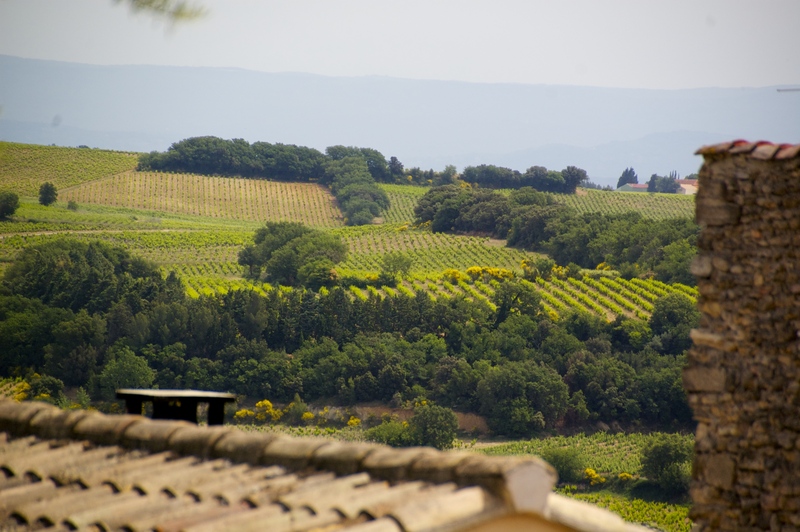 Now, the EU stressed the imperative of preserving the “essential and natural” characteristics of a wine. This leaves us with not one but two ambiguous terms in the definition, leaving the interpretation and application of this principle rather nebulous. A 2009 modification authorized 50 oenological practices in the European Community (click here to download the full document: Commission Regulation (EC) No. 606/2009). 15 of these are additives, and will soon be required to be marked on labels as such, and the remainder are “oenological techniques,” which do not have to be indicated. But there are 80 products that have been in discussion since 1999, and these products have yet to be pegged as “additives” or not, highlighting the delicate nature of defining what “belongs” in a wine (even if it is a conventional wine). Of particular interest are products that could be potential allergens, for example those that containing milk, eggs or gluten, which have been an important focus of labeling laws across the globe in recent years. Thus we see, in this brief legislative timeline, the evolution of the legal definitions of wine and what is considered appropriate oenological practice. The natural wine debates aside, this history accentuates the more fundamental discussion about what should be allowed to go into a wine at all, and where we draw the lines between the “essential” nature of a wine and an artificial wine-like concoction. The labeling solution is an interesting one, as it allows for a fudge-factor. The government is going to decide what can be added to wines to maintain its “essential and natural” characteristics, but the labeling of approved additives allows the consumer to decide for himself if he is willing to accept the EU definition of a “real” wine. If he feels that certain additives cause a wine to stray too far from its native state, he can choose to avoid wines that contain them. Whether or not consumers are willing to play such an active role in defining the nature of wine remains, of course, to be seen.